Exciting cycling news just announced! 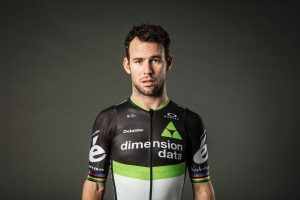 Mark Cavendish will lead Team Dimension Data in the OVO Energy Tour of Britain as the ten-time stage winner in the race makes his comeback from injury after fracturing his scapula on Stage Four of the Tour de France. 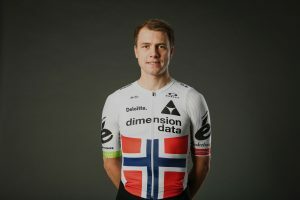 Dimension Data will be heading to the race as two-time defending champions and hoping to make it a hat trick of wins in 2017, having won the 2015 and 2016 editions of Britain’s biggest professional cycle race with Edvald Boasson Hagen and Steve Cummings respectively. Boasson Hagen (below, right) is the current Norwegian Time Trial Champion, and with the Stage Five test at Clacton in Essex over a short 16-kilometre distance that is likely to play to his strengths, the 30-year-old is among the favourites to add to his overall wins in the Tour of Britain in 2009 and 2015. The line-up includes a strong mix of strength and experience with Mark Renshaw (a double Tour of Britain stage winner), Bernhard Eisel and Jay Thomson, while Scott Thwaites will make his third appearance in his national Tour, having last ridden in 2014. “It is great to be heading back to the OVO Energy Tour of Britain this week. As this event has grown in stature year on year, so has our team and the last two years in particular were fantastic for us. On Saturday 9th September, Stage 7 will flow through Cheltenham, and we can’t wait to greet Mark and the rest of Team Dimension Data to our town!